with her encouragement, I even narrated my own book! Awesome experience. Simone was recommended to me by my publisher. This year, I have recorded 4 books with her. work quickly. I have recommended her to many other authors and recommend her to you too! ​ process smooth and easy. I got my first book done by Brisbane Audiobook Production and it came back above my expectations. It was good to get help in distribution as well. I have just completed my first audio book of Clippity Clippity’s Exciting Discovery. an author friend of mine told me of her audio book experience and publication. She recommended Simone at Brisbane Audiobook Production. It has been an amazing experience, highly professional at every turn. Simone was wonderful to work with, very communicative, receptive to what I wanted, highly skilled in choosing the great and right sounds to match each aspect of the story. I was surprised how much she brought my story of Clippity to life with fabulous sounds of . ... ticking clock, determined foot steps, different rhythm of horse hoofs, circus music and crowd cheering excitement, cheering children, animal sounds, heart beating with nervousness. Simone chose exciting atmospheric sounds for the chapter changes also. I was extremely happy with the end product. first 5 minutes. This process is a supportive process. Simone was not only very professional, but so empathetic and able to coach the best out of you. With 30 years in the industry, she knows what she is talking about. And she supplied lollies! Highly recommended!!! I recently had the pleasure of recording my very first children's book "Broccoli Trees? Yes Please!" recording my next children's book with her in the not too distant future! ​ immediately booked in to do my first Audio Book. Once I arrived and met with Simone I felt very relaxed and everything was set up for me ready to go. It took 3 sessions to complete my book and I was so pleased with the value for money and professional quality of the work in the voice control, editing and being stopped many times if I didn't say something correctly. This great attention to detail has ensured my first Audio Book is of extreme high quality and I know it's going to be a big seller in the billion dollar world wide Audio market. I'm in the process of my next project and the audio recordings will be done again at Brisbane Audiobook Production. 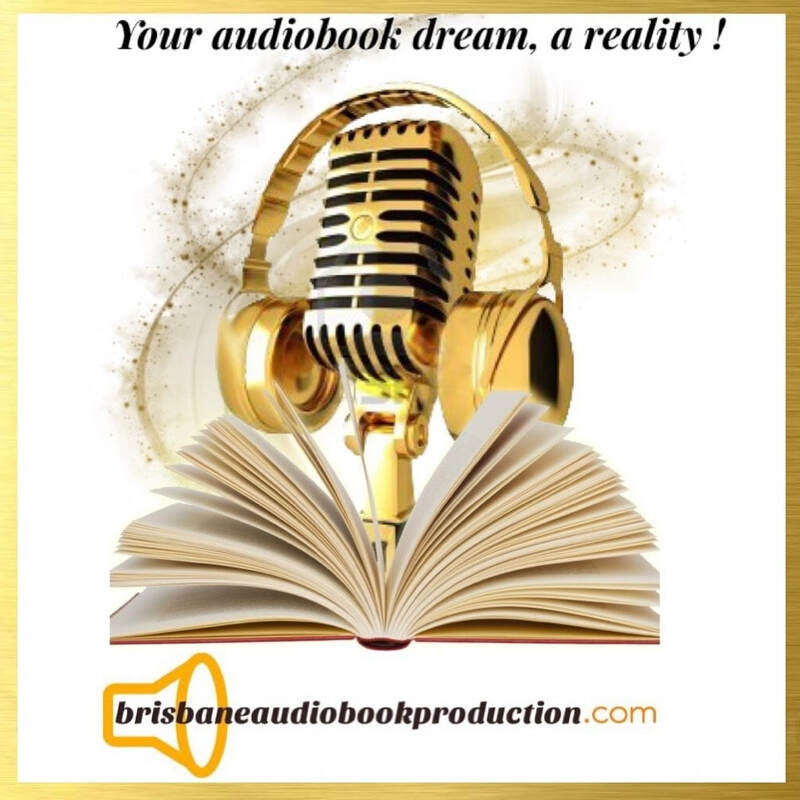 I highly recommend Simone and Brisbane Audiobook Production for your next Audio production. ​ Gaz Jackson - Dog Trainer. recommend Simone wholeheartedly. She is a superstar!! ​ Jenny Old - Author. Make your audiobook dream a reality, today! drop us a line! talk with you soon. We would love to make your audiobook dream a reality!